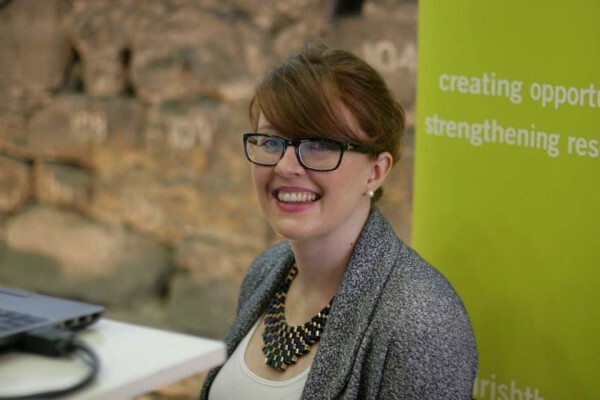 The Board of Directors and Staff at Project Arts Centre are delighted to announce our newly appointed Venue & Operations Manager is Claire O’Neill. Claire will take up the role in 2014. Claire joins Project Arts Centre from the Irish Theatre Institute, where she has been General Manager since 2009. I am absolutely thrilled with Claire’s appointment – her dedication and energy will help us to maintain Project Arts Centre’s role at the heart of the Irish Arts sector and internationally, leading us towards our 50th anniversary in 2016. Claire O’Neill has been a hugely important part of the Irish Theatre Institute team since she joined as our first General Manager. Her contribution and commitment to what we do and how we do it has informed our service provision and strategy and she will be greatly missed. However, we are delighted she will be working with one of our key partners, Project Art Centre, where we know she will bring great enthusiasm and professionalism. We look forward to continuing to work with Claire in future and thank her for five great years at ITI. Project Arts Centre has always been extremely close to my heart and I’m delighted to be joining the great team there. I am really looking forward to working across a range of art forms with all the exciting and diverse artists programmed in and supported by this dynamic venue. Claire is a graduate of University College Dublin and holds a BA in Arts and an MA in Drama and Theatre Studies. She recently completed a Post Graduate Diploma in Business and Management with London School of Economics. With a wealth of arts management experience, Claire spent three years as Company Manager with Rough Magic, before joining Irish Theatre Institute in 2009 as their General Manager, where she worked on a range of events including Information Toolbox, International Theatre Exchange as well as the ‘Six in the Attic’ and ‘Show in a Bag’ schemes, as well as the PLAYOGRAPHY Ireland project. Claire has also worked with Playgroup, Making Strange and Opera Ireland.